Cebu, the crowned "Queen City of the South" in the Visayas islands of the Philippines is one of those cities in the world where you could truly appreciate its people, the events, its natural beauty, the food, the nightlife and a whole lot more. Everywhere you go the place boosts of almost anything under the sun. Visit Cebu's historical landmarks and breathtaking tourist spots such as the Basilica del Santo Niño at the heart of the city, the oldest in the Philippines, the holy Taoist Temple, the Carmelite Monastery, Magellan's Cross, the Mactan Shrine, Fort San Pedro ( the smallest fort in the country), Cebu's ancestral homes and other historical sites worth seeing. While in Cebu, you and your family will certainly not get bored because of several activities, which are mostly kid-friendly, the island has to offer. 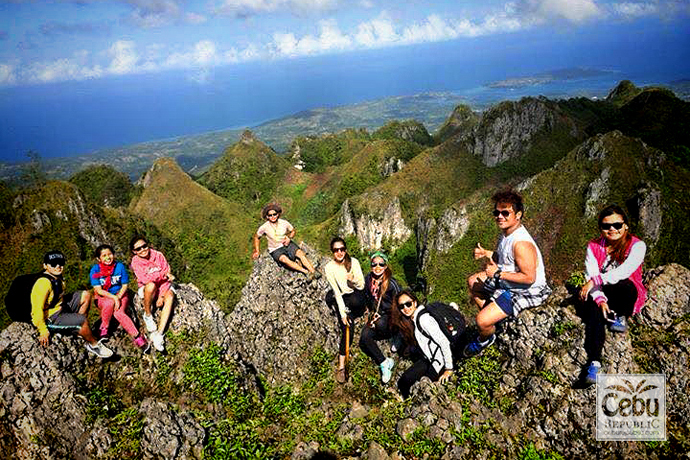 Enjoy zip lining, mountain trekking, mountain climbing, camping, resort fishing, exploring and swimming at waterfalls, educational trip on eco parks, skydiving, watersports, and sky walking at the Crown Regency Hotel and Towers in downtown Cebu City and many more adventures. Food is really awesome in Cebu especially its lechon and mind you, it is famous the world over, the unique sutukil recipes, the best seafood and you can even dine with the locals as they cook their best catch you picked from the sea on the same day . Some of the best and finest restaurants could be found within Cebu's vicinity and nearby towns and cities. Check out the best restaurants and you will find them the most affordable and have the most delicious cuisine than anywhere else. The island cuisine is composed primarily of local and international favorites that are really priced cheaply. 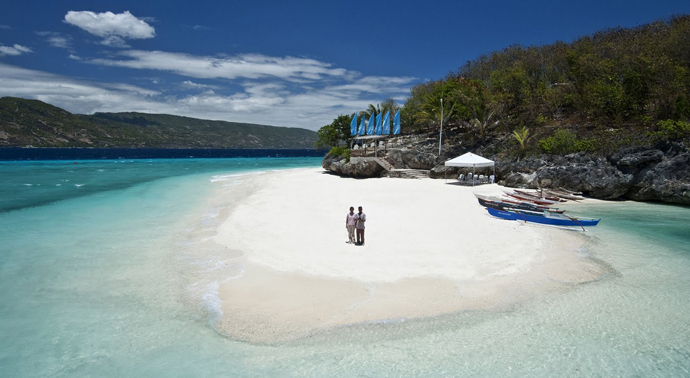 Cebu is not only a shopping and adventure paradise; it also hosts some of the fine beaches and the most elegant resorts playing nature's wonder at its best. Dive to where the diverse marine life has a sanctuary, feed them and play with them. Enjoy Cebu's tropical forest and its pristine waters. 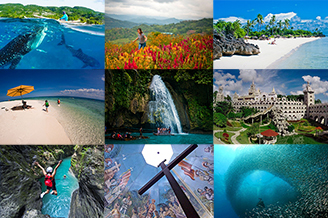 Discover Cebu's most exciting beaches and resorts with the whole family and be fascinated with its rich and diverse ecotourism environment. 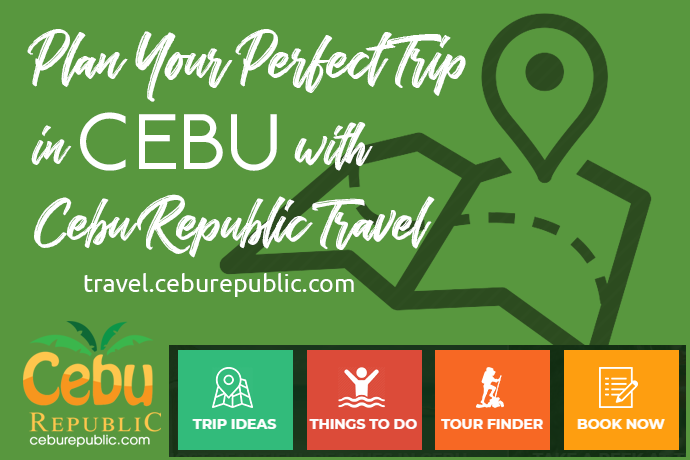 The Cebu Republic, an organization of writers, bloggers and professionals who give information on where, when and how an event is happening could certainly bring you what you want to know regarding about almost everything happening in Cebu at any given time. 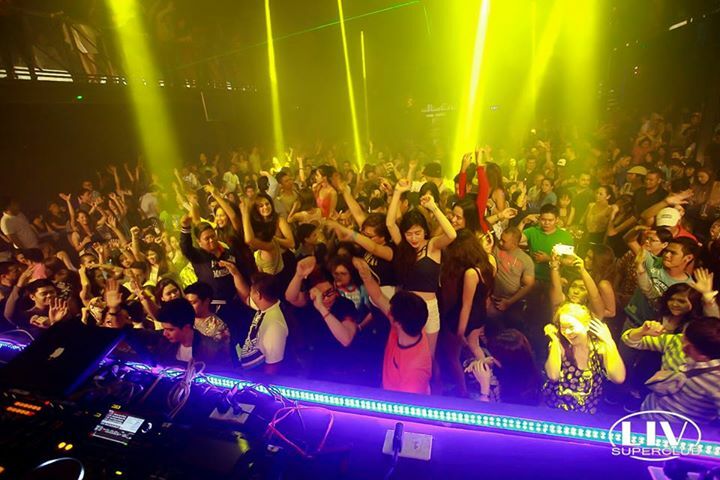 This Cebu-based community, in partnership with other organizations, set-up concerts and performances which gives total entertainment and joy to the whole inhabitants and visitors alike. It’s regarded as one of the most beautiful islands in the world because of its crystal clear ocean waters and an immaculately clean shoreline of powder-like white sands. 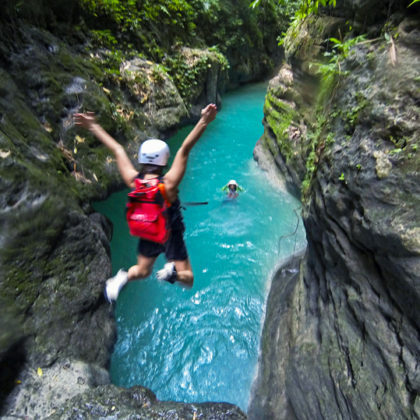 Canyoneering and Whaleshark tour adventure packages a one day event in Cebu that keep your Adrenaline Pumping. 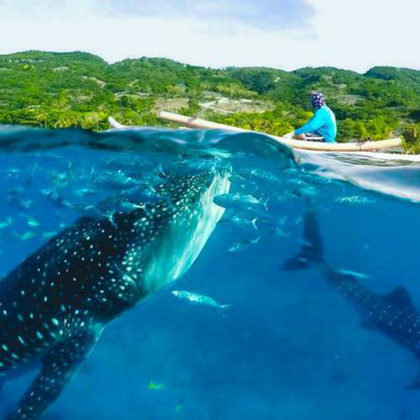 Oslob Whaleshark + Kawasan tour adventure packages a one day event in Cebu that keep your Adrenaline Pumping. 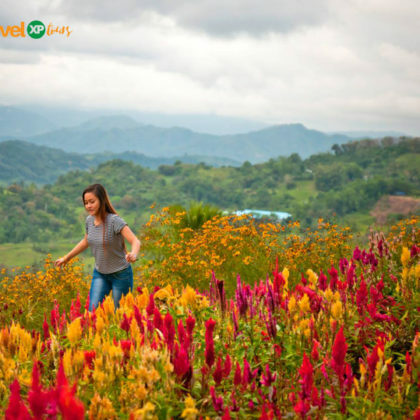 Visit Cebu’s historical landmarks and breathtaking tourist spots such as the Sirao Flower farm, Temple of Leah, TOPS, the holy Taoist Temple, Cebu’s ancestral homes and other historical sites worth seeing. Do you want non-stop shopping-spree without hurting your budget? Come to Cebu and you may find your way to some of the best bargains on the planet from clothing, jewelries, children toys to gadgets and many more. The proliferations of malls, boutiques and other inexpensive retail shops enable Cebu entrepreneurs to compete with the most respectable brands without sacrificing quality for every item. Early retirees, nature seekers and simple people who want to settle to a safe, quiet, clean and less expensive living, find Cebu to offer the basic necessities of life. Whether it is a townhouse, bungalow, condominium or a house in lot near the pristine white sand beaches, you could have them with prestige. By Air: The Mactan International Airport in Cebu caters to local and international flights daily. The Local carriers Cebu Pacific and Philippine Air Lines have daily flights from anywhere else in the world. From Manila, these two carriers have also daily flights from the NAIA terminal. Among the international carriers, Silk Air arrives from Singapore daily. There are also daily flights to and from Hong Kong, the Middle East, Europe and other locations from the rest of the world. By Sea: The Super Ferry is the best mode of transportation to and from Manila to Cebu. There are Cabin reservations that could be arranged for those who are planning to bring the entire family or bunch of friends. By Land: Bus rides are the best options in travelling Cebu from one end to another. Just visit the various terminals on the city where you want to go. 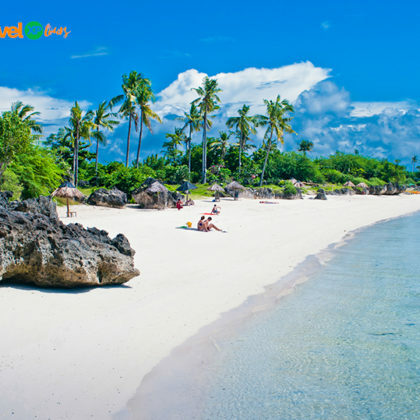 Cebu, just like the whole archipelago, has a tropical climate and has two seasons: the wet and dry season. Average sunny weather is 300 days in a year, a perfect condition for awesome outdoor activities, indeed! To give ample time and sure spots on hotel accommodations, better book earlier. Come January 2016, the Sinulog Festival wills surely fully-booked most of the hotels in Cebu by December this year, so better contact your favorite hotel hangs out for reservations as early as possible.